I love Dragon Ball Z: Dokkan Battle. I tried to walk away from it once…I was unsuccessful, but ultimately not saddened by my failure. This DBZ-skinned card battle game keeps me coming back with new metas and new characters from throughout the franchise’s history and even on-going series. But not all cards are created equal! Leader skills, passive skills, stats, and links aside, there’s the art. 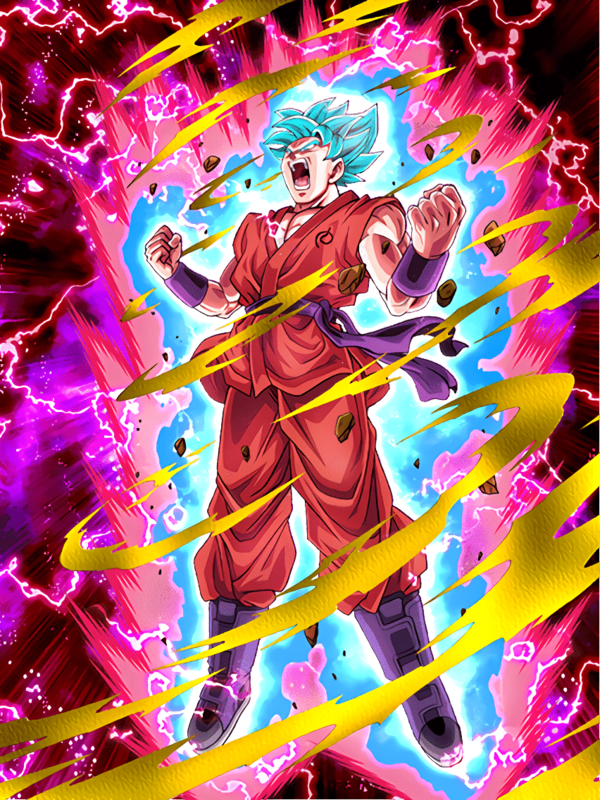 The card art is kinda everything to me, in a way. I mean, if it featured One Piece characters, I wouldn’t be playing the game at all. But you slap Vegeta on there and you’ve got my attention! So here are my picks for the Top 7 coolest card arts in the game (at least according to my box on Global) in no particular order. I’m also going to include a short blurb along with each entry letting you know where in the series it was lifted from! 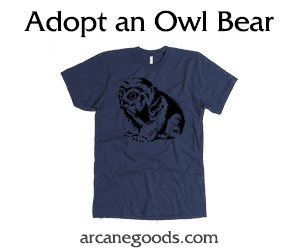 Note: You can click each image to enlarge them. Also, when I list episode numbers, they will reference the original episode numbering first followed by the English dub episode. 1. Necessary Evolution Super Saiyan God SS Goku. 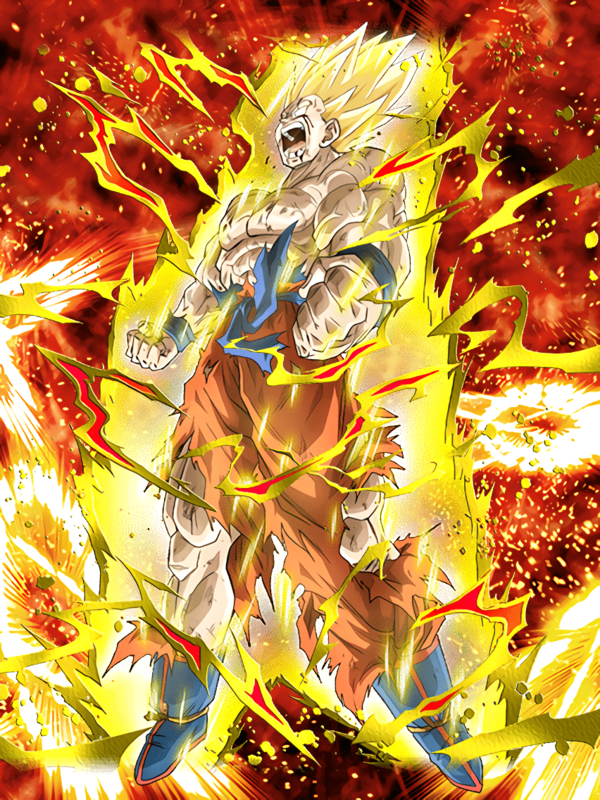 There are a handful of cards whose Dokkan Awakenings weakened the card art, in my opinion. This is one of them. I remember watching this scene unfold in Super and it feeling a lot like watching Goku achieve Super Saiyan for the first time: Flat out awesome and with all the hype! So there is a bit of nostalgia associated with this selection. Where you can find it: Dragon Ball Super episode 39. In Goku’s fight against Hit during the Universal Tournament, he fires up the Kaioken, much to the astonishment of Beerus…and then he multiplies it by 10 to overcome Hit’s Time Skip. 2. Murderous Designs Buu (Super). 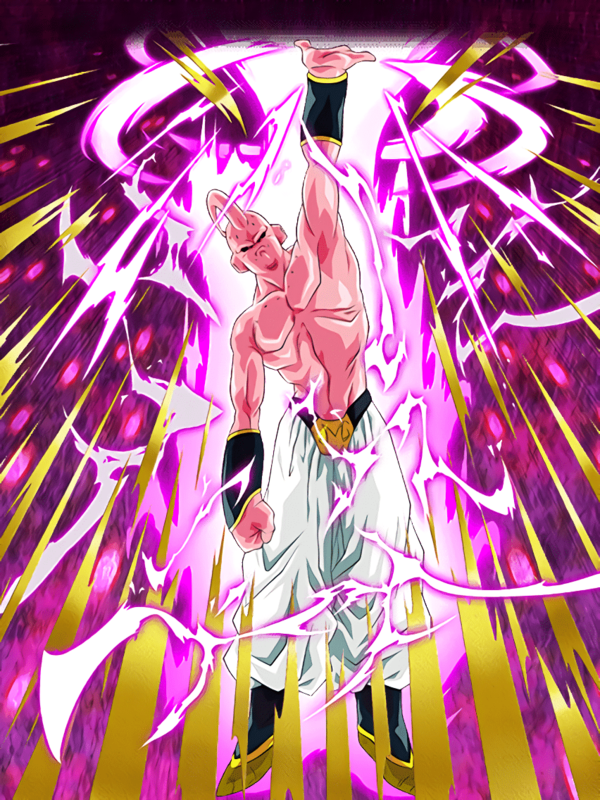 Another unforgettable moment from the series captured in card art form: Super Buu’s genocidal attack on the human race. He kills them. He kills them all. Unblinking and pure evil. The card’s stats and abilities aren’t much, but the art is fantastic! Where you can find it: Dragon Ball Z episode 256/241. Interestingly enough, Buu pulls this stunt at Piccolo’s request. Piccolo is trying to distract Buu so that Goten and Trunks can sneak into the Hyperbolic Time Chamber and grow stronger as a fused fighter. 3. Sage from Universe 7 Piccolo. Growing up watching the show, Piccolo was my favorite character. Eventually he would be replaced by Vegeta (because Vegeta is the most well-developed and dynamic character in the series and I’ll fight anyone who thinks otherwise), but Piccolo is #2 for sure. Maybe I’ve got a soft spot for bad guys turned good? 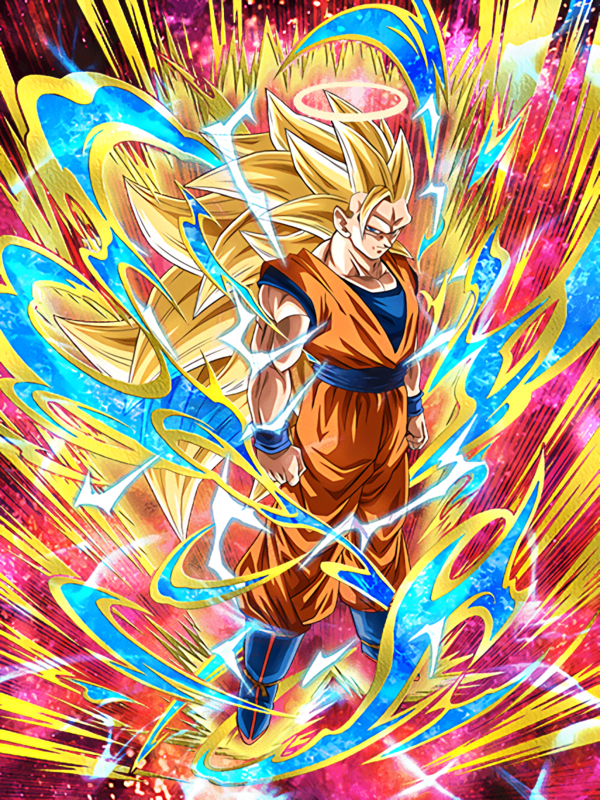 This card’s art, like the Kaioken Goku above, took a hit with the Dokkan Awakening, but I love this smugly confident Special-Beam-Cannon-charging version immensely. Where you can find it: Piccolo faces off against Frost in the Universal Tournament in Dragon Ball Super episode 34. 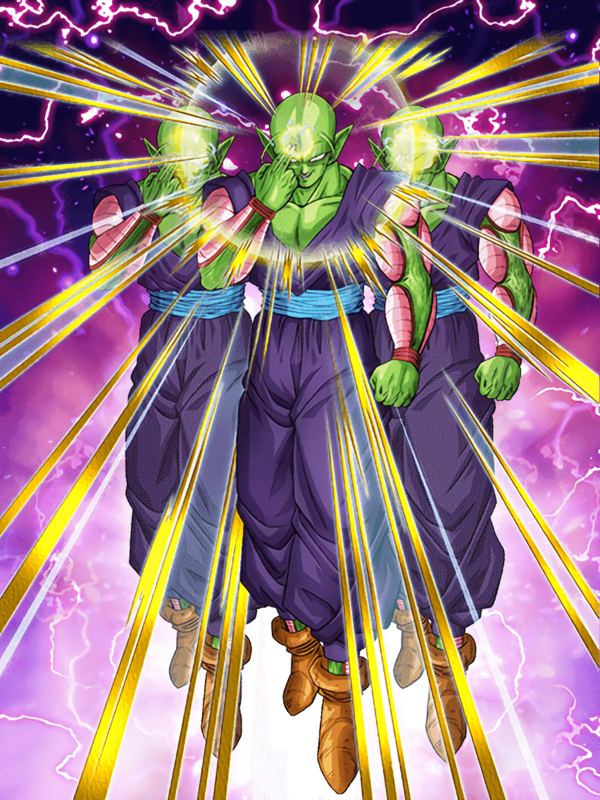 Since the Special Beam Cannon takes so long to charge, Piccolo creates multiple clones of himself to buy himself the time he needs. 4. Striking in Harmony Super Saiyan 2 Gohan (Youth). This might be one of the most iconic scenes in the Dragon Ball franchise’s history. 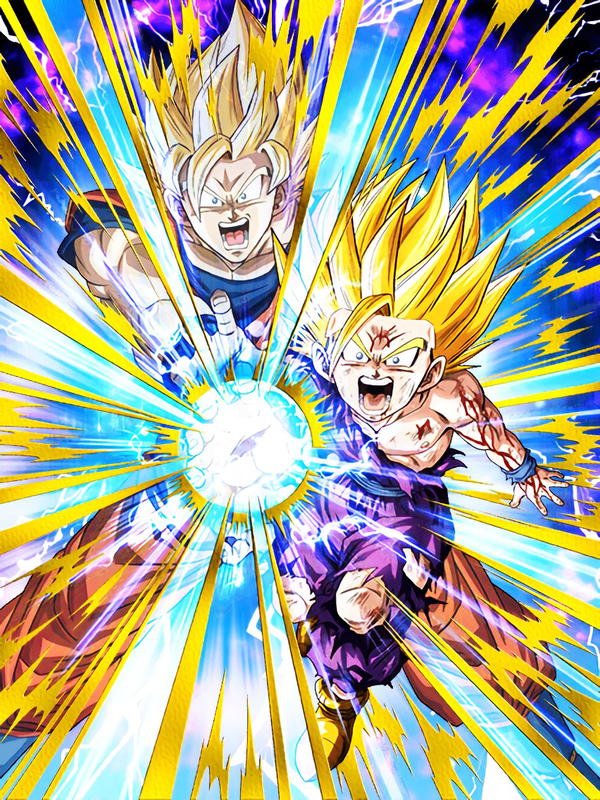 This card art shows the effort Gohan expends on behalf of the earth in a way that the pre-Dokkan’d version does not – setting it apart from its base card. I 100% like this art better than even the LR Gohan, which is lifted from the same scene. Where you can find it: Dragon Ball Z episode 191/176. Gohan, coached from afar by his dead dad via King Kai’s telepathic ability, is joined by the spirit of Goku and unleashes a Kamehameha wave that ultimately disintegrates cell. 5. Pinnacle of Rage Super Saiyan Goku. Another great scene from the manga and anime captured perfectly in a Dokkan card’s art. Goku is clearly pissed in this art. It is visceral and powerful; made even more so by its instigating circumstances (see below!). Where you can find it: Episode 101/86 of Dragon Ball Z. Frieza makes an ill-advised offhand remark about killing Krillin…you know…the very thing that caused Goku to go Super Saiyan in the first place. 6. Astounding Transformation Super Saiyan 3 Goku (Angel). This thing came out of nowhere! So Goku attained this form while dead but while we were made privy to a lot of what Goku was up to when he wasn’t living, we were kept out of the loop on this one. It was a surprise to everyone (viewers included!) except King Kai who tried to talk Goku out of it. Shut up, King Kai! Where you can find it: Dragon Ball Z episode 245/230. Goku totally man-splains Saiyans to Babidi before using Buu like a paddle ball. 7. 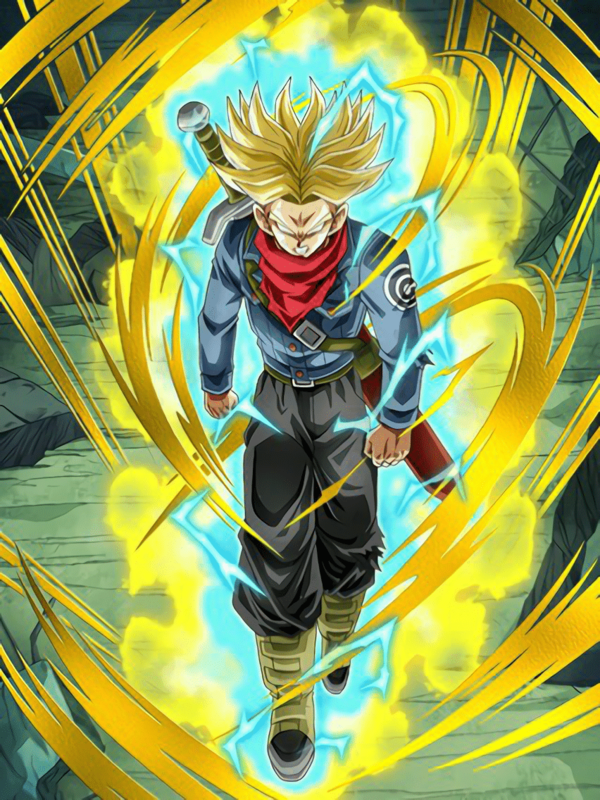 Power of Rage Super Saiyan Trunks (Future). I’ve always loved the no-pupils look on a Saiyan. We first see it on Goku actually – albeit ever so briefly – when he goes Super Saiyan for the first time against Frieza. After that, Broly had a corner on the market until Beerus slaps Bulma and sends Vegeta into a rage (hands down the best part of Battle of Gods). Then Trunks is sent into the rage by Goku Black and Zamasu; ditching the pupils and winning over my eyes. Plus he’s got a sword! Where you can find it: In Dragon Ball Super episode 61, Goku Black and Zamasu basically bully Trunks into a rage! 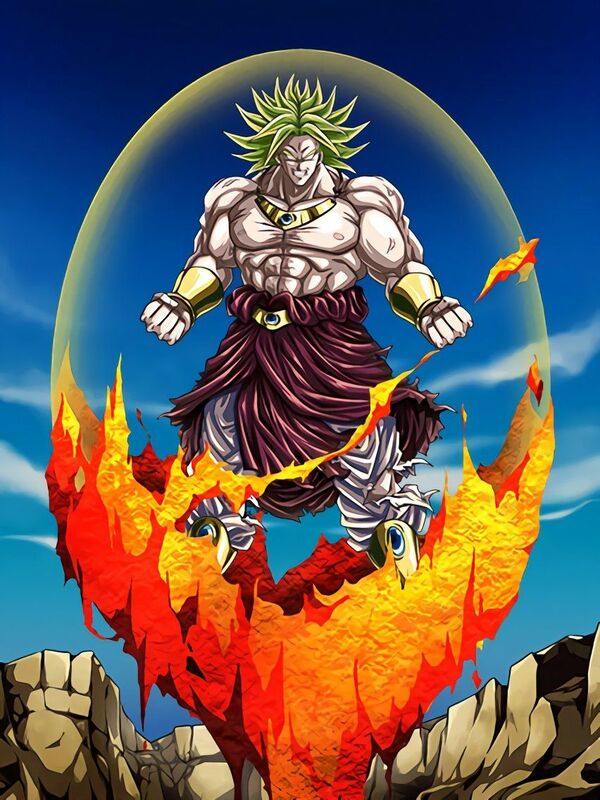 Indestructible Saiyan Evil Legendary Super Saiyan Broly. Its the lava sliding down his energy shield that gets him here. Where you can find it: In Broly: Second Coming. Gohan tricks Broly into a lava trap of sorts, but that proves insufficient to stop the Legendary Super Saiyan! Wounded Honor Yamcha. I mean, come on. Its hilarious that this is a card at all. Where you can find it: In Dragon Ball Z episode 23/17. He falls victim to a kamikaze move from one of the Saibamen. Which card art is your favorite? Let us know in the comments on our Facebook page!